Simon's preliminary hearing stands recessed for the day, but state prosecutors, along with Simon and her attorneys will be back in an Eaton County courtroom on June 11. MONTHS TO FIND OUT IF THE FORMERPRESIDENT OFMICHIGAN STATE UNIVERSITY WILLSTAND TRIAL IN CONNECTION TO THELARRY NASSARSCANDALLOU ANNA K.
SIMON'S PRELIMINARYHEARING STARTED IN FEBRUARY.SHE FACES UP TO FOUR YEARS INPRISON ON CHARGES SHE LIED TOPOLICE REGARDINGWHAT SHE KNEW ABOUT THECOMPLAINTS AGAINST NASSAR. THEHEARING TO DETERMINE IF SHE'LLSTAND TRIAL IS SET TO PICK BACKUP IN JUNE.WE'LL HAVE COVERAGE OF IT FORYOU THEN. 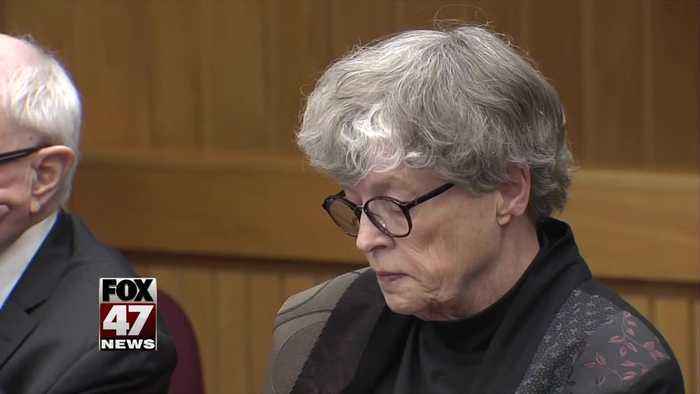 Lou Anna K. Simon&apos;s preliminary hearing stands recessed for the day, but state prosecutors, along with Simon and her attorneys will be back in an Eaton County courtroom on June 11. 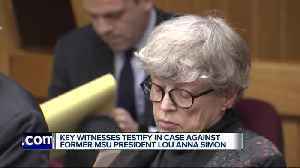 Three more witnesses testified for the Michigan Attorney General in the case against Former MSU President Lou Anna K. Simon. She’s charged with lying to investigators in the Dr. Larry Nassar case.. 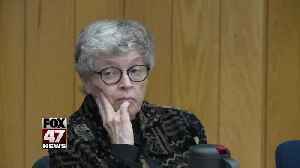 The former president of Michigan State University is scheduled to be an Eaton County court room Tuesday morning. 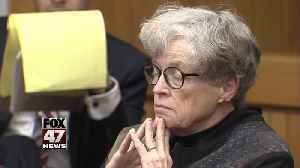 Former MSU President Lou Anna Simon will be back in court Monday for a preliminary hearing. 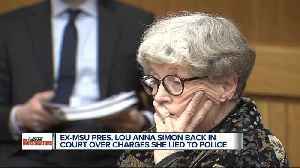 Lou Anna Kay Simon, the former president of Michigan State University, will be in court for another Preliminary Exam. Simon has been charged with four counts of lying to police officers over the Larry..